Manila’s first-ever The Day of the Dead (Día de los Muertos) is new in the Philippine festival scene. Here are 8 things you need to know to get the most out of it. 1. Day of the Dead is a celebration of life. Once a year, people from all over the world celebrate and remember their dead. In Mexico they remember the dead for the life they’ve lived. Day of the Dead is a festival that honors loved ones in a celebration like no other. 2. It’s a 3000-year old Mexican tradition. The ritual of Day of the Dead in Mexico traces its roots to early South American civilizations like the Aztec 2500-3000 years ago. For thousands of years the natives believed that death is not the end of life but a continuation of life. Instead of fearing death they embraced it. 3. Skulls are used to honor the dead. Calaveras (skulls) and calacas (skeletons) are kept as trophies and are displayed throughout the ritual. Today skulls would be seen on brightly painted faces, vibrant costumes, ornate paper decorations, and even in food and sweets! 4. That famous skeleton wearing a hat full of flowers has a name. La Calavera Catrína or “The Elegant Skull” by illustrator Jose Guadalupe Posada has been the festival’s icon since the early 1900s. It’s a parody of an upper-class European woman and has been the basis of many Day of the Dead costumes and decorations ever since. 5. The original tradition has evolved over the years. Day of the Dead fell on the ninth month of the Aztec calendar, approximately during the first week of August and was celebrated for the entire month. In the hope of merging this with the Catholic beliefs, the Spaniards moved it to coincide with All Saints Day and All Souls Day. Today it is celebrated as a huge street party where people dress up with skeletons and skull masks. 6. It’s not another Halloween party. The Day of the Dead is neither scary nor spooky. 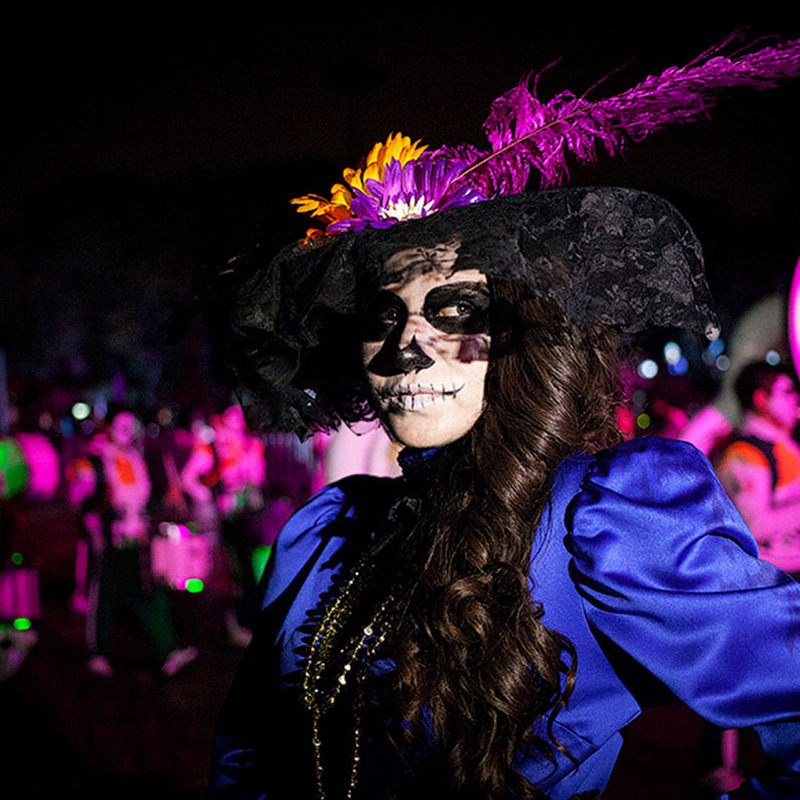 it’s a spirited celebration for remembering the dead with festive dancing, delectable Mexican food and lively music. 7. A bottle of Cuervo is part of the tradition. Jose Cuervo invented tequila in 1795 in a town aptly called Tequila. Soon after, it became the most common offering for the dead in Mexico. The celebrants drink with friends and family as they remember fond events and anecdotes about the departed. 8. Day of the Dead is now celebrated around the world. Just like Jose Cuervo tequila, what started as an institution in Mexico has now conquered different parts of the globe. Jose Cuervo and the Day of the Dead are icons of Mexican culture, that are celebrated worldwide. Jose Cuervo, the number one tequila in the world, shares its rich heritage through the Day of the Dead to as many cultures as possible – from London, USA, New Zealand, and now in the Philippines! Mark your calendars. Don’t miss the first-ever Day of the Dead in Manila on October 28, Friday. Felíz Día de los Muertos!